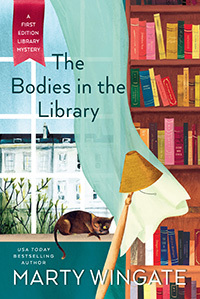 The Bodies in the Library (to be released October 8 in hardcover and ebook) will introduce you to my new series, the First Edition Library mysteries. You can order now from your local bookstore or any of these sites. Pru’s husband, Detective Inspector Christopher Pearse, relies on Pru’s knowledge of all the players in this particular intrigue, and Pru finds herself using rehearsals to investigate. 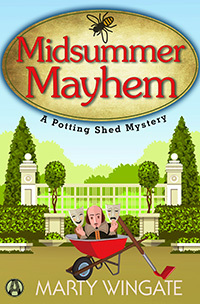 But playing the role of private eye could prove perilous for Pru, as she closes in on a murderer who won’t let anyone—least of all the gardener—keep him from stopping the show… dead.